YUSUFALI: A.L.R. These are the ayats of the Book of Wisdom. PICKTHAL: Alif. Lam. Ra. These are verses of the Wise Scripture. SHAKIR: Alif Lam Ra. These are the verses of the wise Book. YUSUFALI: Is it a matter of wonderment to men that We have sent Our inspiration to a man from among themselves?- that he should warn mankind (of their danger), and give the good news to the Believers that they have before their Lord the lofty rank of truth. (But) say the Unbelievers: "This is indeed an evident sorcerer!" PICKTHAL: Is it a wonder for mankind that We have inspired a man among them, saying: Warn mankind and bring unto those who believe the good tidings that they have a sure footing with their Lord? The disbelievers say: Lo! this is a mere wizard. SHAKIR: What! is it a wonder to the people that We revealed to a man from among themselves, saying: Warn the people and give good news to those who believe that theirs is a footing of firmness with their Lord. The unbelievers say: This is most surely a manifest enchanter. YUSUFALI: Verily your Lord is Allah, who created the heavens and the earth in six days, and is firmly established on the throne (of authority), regulating and governing all things. No intercessor (can plead with Him) except after His leave (hath been obtained). This is Allah your Lord; Him therefore serve ye: will ye not receive admonition? YUSUFALI: To Him will be your return- of all of you. The promise of Allah is true and sure. It is He Who beginneth the process of creation, and repeateth it, that He may reward with justice those who believe and work righteousness; but those who reject Him will have draughts of boiling fluids, and a penalty grievous, because they did reject Him. PICKTHAL: Unto Him is the return of all of you; it is a promise of Allah in truth. Lo! He produceth creation, then reproduceth it, that He may reward those who believe and do good works with equity; while, as for those who disbelieve, theirs will be a boiling drink and painful doom because they disbelieved. SHAKIR: To Him is your return, of all (of you); the promise of Allah (made) in truth; surely He begins the creation in the first mstance, then He reproduces it, that He may with justice recompense those who believe and do good; and (as for) those who disbelieve, they shall have a drink of hot water and painful punishment because they disbelieved. YUSUFALI: It is He Who made the sun to be a shining glory and the moon to be a light (of beauty), and measured out stages for her; that ye might know the number of years and the count (of time). Nowise did Allah create this but in truth and righteousness. (Thus) doth He explain His Signs in detail, for those who understand. PICKTHAL: He it is Who appointed the sun a splendour and the moon a light, and measured for her stages, that ye might know the number of the years, and the reckoning. Allah created not (all) that save in truth. He detaileth the revelations for people who have knowledge. YUSUFALI: Verily, in the alternation of the night and the day, and in all that Allah hath created, in the heavens and the earth, are signs for those who fear Him. PICKTHAL: Lo! in the difference of day and night and all that Allah hath created in the heavens and the earth are portents, verily, for folk who ward off (evil). SHAKIR: Most surely in the variation of the night and the day, and what Allah has created in the heavens and the earth, there are signs for a people who guard (against evil). YUSUFALI: Their abode is the Fire, because of the (evil) they earned. PICKTHAL: Their home will be the Fire because of what they used to earn. SHAKIR: (As for) those, their abode is the fire because of what they earned. YUSUFALI: Those who believe, and work righteousness,- their Lord will guide them because of their faith: beneath them will flow rivers in gardens of bliss. SHAKIR: Surely (as for) those who believe and do good, their Lord will guide them by their faith; there shall flOw from beneath them rivers in gardens of bliss. YUSUFALI: (This will be) their cry therein: "Glory to Thee, O Allah!" And "Peace" will be their greeting therein! and the close of their cry will be: "Praise be to Allah, the Cherisher and Sustainer of the worlds!" PICKTHAL: Their prayer therein will be: Glory be to Thee, O Allah! and their greeting therein will be: Peace. And the conclusion of their prayer will be: Praise be to Allah, Lord of the Worlds! SHAKIR: Their cry in it shall be: Glory to Thee, O Allah! and their greeting in it shall be: Peace; and the last of their cry shall be: Praise be to Allah, the Lord of the worlds. YUSUFALI: If Allah were to hasten for men the ill (they have earned) as they would fain hasten on the good,- then would their respite be settled at once. But We leave those who rest not their hope on their meeting with Us, in their trespasses, wandering in distraction to and fro. PICKTHAL: If Allah were to hasten on for men the ill (that they have earned) as they would hasten on the good, their respite would already have expired. But We suffer those who look not for the meeting with Us to wander blindly on in their contumacy. SHAKIR: And if Allah should hasten the evil to men as they desire the hastening on of good, their doom should certainly have been decreed for them; but We leave those alone who hope not for Our meeting in their inordinacy, blindly wandering on. YUSUFALI: When trouble toucheth a man, He crieth unto Us (in all postures)- lying down on his side, or sitting, or standing. But when We have solved his trouble, he passeth on his way as if he had never cried to Us for a trouble that touched him! thus do the deeds of transgressors seem fair in their eyes! PICKTHAL: And if misfortune touch a man he crieth unto Us, (while reclining) on his side, or sitting or standing, but when We have relieved him of the misfortune he goeth his way as though he had not cried unto Us because of a misfortune that afflicted him. Thus is what they do made (seeming) fair unto the prodigal. SHAKIR: And when affliction touches a man, he calls on Us, whether lying on his side or sitting or standing; but when We remove his affliction from him, he passes on as though he had never called on Us on account of an affliction that touched him; thus that which they do is made fair-seeming to the extravagant. YUSUFALI: Generations before you We destroyed when they did wrong: their messengers came to them with clear-signs, but they would not believe! thus do We requite those who sin! PICKTHAL: We destroyed the generations before you when they did wrong; and their messengers (from Allah) came unto them with clear proofs (of His Sovereignty) but they would not believe. Thus do We reward the guilty folk. SHAKIR: And certainly We did destroy generations before you when they were unjust, and their messengers had come to them with clear arguments, and they would not believe; thus do We recompense the guilty people. YUSUFALI: Then We made you heirs in the land after them, to see how ye would behave! PICKTHAL: Then We appointed you viceroys in the earth after them, that We might see how ye behave. SHAKIR: Then We made you successors in the land after them so that We may see how you act. YUSUFALI: But when Our Clear Signs are rehearsed unto them, those who rest not their hope on their meeting with Us, Say: "Bring us a reading other than this, or change this," Say: "It is not for me, of my own accord, to change it: I follow naught but what is revealed unto me: if I were to disobey my Lord, I should myself fear the penalty of a Great Day (to come)." PICKTHAL: And when Our clear revelations are recited unto them, they who look not for the meeting with Us say: Bring a Lecture other than this, or change it. Say (O Muhammad): It is not for me to change it of my accord. I only follow that which is inspired in me. Lo! if I disobey my Lord I fear the retribution of an awful Day. SHAKIR: And when Our clear communications are recited to them, those who hope not for Our meeting say: Bring a Quran other than this or change it. Say: It does not beseem me that I should change it of myself; I follow naught but what is revealed to me; surely I fear, if I disobey my Lord, the punishment of a mighty day. YUSUFALI: Say: "If Allah had so willed, I should not have rehearsed it to you, nor would He have made it known to you. A whole life-time before this have I tarried amongst you: will ye not then understand?" PICKTHAL: Say: If Allah had so willed I should not have recited it to you nor would He have made it known to you. I dwelt among you a whole lifetime before it (came to me). Have ye then no sense? SHAKIR: Say: If Allah had desired (otherwise) I would not have recited it to you, nor would He have taught it to you; indeed I have lived a lifetime among you before it; do you not then understand? YUSUFALI: Who doth more wrong than such as forge a lie against Allah, or deny His Signs? But never will prosper those who sin. PICKTHAL: Who doeth greater wrong than he who inventeth a lie concerning Allah and denieth His revelations? Lo! the guilty never are successful. SHAKIR: Who is then more unjust than who forges a lie against Allah or (who) gives the lie to His communications? Surely the guilty shall not be successful. YUSUFALI: They serve, besides Allah, things that hurt them not nor profit them, and they say: "These are our intercessors with Allah." Say: "Do ye indeed inform Allah of something He knows not, in the heavens or on earth?- Glory to Him! and far is He above the partners they ascribe (to Him)!" PICKTHAL: They worship beside Allah that which neither hurteth them nor profiteth them, and they say: These are our intercessors with Allah. Say: Would ye inform Allah of (something) that He knoweth not in the heavens or in the earth? Praised be He and High Exalted above all that ye associate (with Him)! SHAKIR: And they serve beside Allah what can neither harm them nor profit them, and they say: These are our intercessors with Allah. Say: Do you (presume to) inform Allah of what He knows not in the heavens and the earth? Glory be to Him, and supremely exalted is He above what they set up (with Him). YUSUFALI: Mankind was but one nation, but differed (later). Had it not been for a word that went forth before from thy Lord, their differences would have been settled between them. PICKTHAL: Mankind were but one community; then they differed; and had it not been for a word that had already gone forth from thy Lord it had been judged between them in respect of that wherein they differ. SHAKIR: And people are naught but a single nation, so they disagree; and had not a word already gone forth from your Lord, the matter would have certainly been decided between them in respect of that concerning which they disagree. YUSUFALI: They say: "Why is not a sign sent down to him from his Lord?" Say: "The Unseen is only for Allah (to know), then wait ye: I too will wait with you." PICKTHAL: And they will say: If only a portent were sent down upon him from his Lord! Then say, (O Muhammad): The Unseen belongeth to Allah. So wait! Lo! I am waiting with you. SHAKIR: And they say: Why is not a sign sent to him from his Lord? Say: The unseen is only for Allah; therefore wait-- surely I too, with you am of those who wait. YUSUFALI: When We make mankind taste of some mercy after adversity hath touched them, behold! they take to plotting against Our Signs! Say: "Swifter to plan is Allah!" Verily, Our messengers record all the plots that ye make! PICKTHAL: And when We cause mankind to taste of mercy after some adversity which had afflicted them, behold! they have some plot against Our revelations. Say: Allah is more swift in plotting. Lo! Our messengers write down that which ye plot. SHAKIR: And when We make people taste of mercy after an affliction touches them, lo ! they devise plans against Our communication. Say: Allah is quicker to plan; surely Our messengers write down what you plan. YUSUFALI: He it is Who enableth you to traverse through land and sea; so that ye even board ships;- they sail with them with a favourable wind, and they rejoice thereat; then comes a stormy wind and the waves come to them from all sides, and they think they are being overwhelmed: they cry unto Allah, sincerely offering (their) duty unto Him saying, "If thou dost deliver us from this, we shall truly show our gratitude!" PICKTHAL: He it is Who maketh you to go on the land and the sea till, when ye are in the ships and they sail with them with a fair breeze and they are glad therein, a storm-wind reacheth them and the wave cometh unto them from every side and they deem that they are overwhelmed therein; (then) they cry unto Allah, making their faith pure for Him only: If Thou deliver us from this, we truly will be of the thankful. SHAKIR: He it is Who makes you travel by land and sea; until when you are in the ships, and they sail on with them in a pleasant breeze, and they rejoice, a violent wind overtakes them and the billows surge in on them from all sides, and they become certain that they are encompassed about, they pray to Allah, being sincere to Him in obedience: If Thou dost deliver us from this, we will most certainly be of the grateful ones. YUSUFALI: But when he delivereth them, behold! they transgress insolently through the earth in defiance of right! O mankind! your insolence is against your own souls,- an enjoyment of the life of the present: in the end, to Us is your return, and We shall show you the truth of all that ye did. PICKTHAL: Yet when He hath delivered them, behold! they rebel in the earth wrongfully. O mankind! Your rebellion is only against yourselves. (Ye have) enjoyment of the life of the world; then unto Us is your return and We shall proclaim unto you what ye used to do. SHAKIR: But when He delivers them, lo! they are unjustly rebellious in the earth. O men! your rebellion is against your own souls-- provision (only) of this world's life-- then to Us shall be your return, so We will inform you of what you did. YUSUFALI: The likeness of the life of the present is as the rain which We send down from the skies: by its mingling arises the produce of the earth- which provides food for men and animals: (It grows) till the earth is clad with its golden ornaments and is decked out (in beauty): the people to whom it belongs think they have all powers of disposal over it: There reaches it Our command by night or by day, and We make it like a harvest clean-mown, as if it had not flourished only the day before! thus do We explain the Signs in detail for those who reflect. PICKTHAL: The similitude of the life of the world is only as water which We send down from the sky, then the earth's growth of that which men and cattle eat mingleth with it till, when the earth hath taken on her ornaments and is embellished, and her people deem that they are masters of her, Our commandment cometh by night or by day and We make it as reaped corn as if it had not flourished yesterday. Thus do we expound the revelations for people who reflect. SHAKIR: The likeness of this world's life is only as water which We send down from the cloud, then the herbage of the earth of which men and cattle eat grows luxuriantly thereby, until when the earth puts on its golden raiment and it becomes garnished, and its people think that they have power over it, Our command comes to it, by night or by day, so We render it as reaped seed; produce, as though it had not been in existence yesterday; thus do We make clear the communications for a people who reflect. YUSUFALI: But Allah doth call to the Home of Peace: He doth guide whom He pleaseth to a way that is straight. PICKTHAL: And Allah summoneth to the abode of peace, and leadeth whom He will to a straight path. SHAKIR: And Allah invites to the abode of peace and guides whom He pleases into the right path. YUSUFALI: To those who do right is a goodly (reward)- Yea, more (than in measure)! No darkness nor shame shall cover their faces! they are companions of the garden; they will abide therein (for aye)! PICKTHAL: For those who do good is the best (reward) and more (thereto). Neither dust nor ignominy cometh near their faces. Such are rightful owners of the Garden; they will abide therein. SHAKIR: For those who do good is good (reward) and more (than this); and blackness or ignominy shall not cover their faces; these are the dwellers of the garden; in it they shall abide. YUSUFALI: But those who have earned evil will have a reward of like evil: ignominy will cover their (faces): No defender will they have from (the wrath of) Allah: Their faces will be covered, as it were, with pieces from the depth of the darkness of night: they are companions of the Fire: they will abide therein (for aye)! PICKTHAL: And those who earn ill-deeds, (for them) requital of each ill-deed by the like thereof; and ignominy overtaketh them - They have no protector from Allah - as if their faces had been covered with a cloak of darkest night. Such are rightful owners of the Fire; they will abide therein. SHAKIR: And (as for) those who have earned evil, the punishment of an evil is the like of it, and abasement shall come upon them-- they shall have none to protect them from Allah-- as if their faces had been covered with slices of the dense darkness of night; these are the inmates of the fire; in it they shall abide. YUSUFALI: One day shall We gather them all together. Then shall We say to those who joined gods (with Us): "To your place! ye and those ye joined as 'partners' We shall separate them, and their "Partners" shall say: "It was not us that ye worshipped! PICKTHAL: On the day when We gather them all together, then We say unto those who ascribed partners (unto Us): Stand back, ye and your (pretended) partners (of Allah)! And We separate them, the one from the other, and their (pretended) partners say: It was not us ye worshipped. YUSUFALI: "Enough is Allah for a witness between us and you: we certainly knew nothing of your worship of us!" PICKTHAL: Allah sufficeth as a witness between us and you, that we were unaware of your worship. SHAKIR: Therefore Allah is sufficient as a witness between us and you that we were quite unaware of your serving (us). YUSUFALI: There will every soul prove (the fruits of) the deeds it sent before: they will be brought back to Allah their rightful Lord, and their invented falsehoods will leave them in the lurch. PICKTHAL: There doth every soul experience that which it did aforetime, and they are returned unto Allah, their rightful Lord, and that which they used to invent hath failed them. SHAKIR: There shall every soul become acquainted with what it sent before, and they shall be brought back to Allah, their true Patron, and what they devised shall escape from them. YUSUFALI: Say: "Who is it that sustains you (in life) from the sky and from the earth? or who is it that has power over hearing and sight? And who is it that brings out the living from the dead and the dead from the living? and who is it that rules and regulates all affairs?" They will soon say, "Allah". Say, "will ye not then show piety (to Him)?" PICKTHAL: Say (unto them, O Muhammad): Who provideth for you from the sky and the earth, or Who owneth hearing and sight; and Who bringeth forth the living from the dead and bringeth forth the dead from the living; and Who directeth the course? They will say: Allah. Then say: Will ye not then keep your duty (unto Him)? SHAKIR: Say: Who gives you sustenance from the heaven and the earth? Or Who controls the hearing and the sight? And Who brings forth the living from the dead, and brings forth the dead from the living? And Who regulates the affairs? Then they will say: Allah. Say then: Will you not then guard (against evil)? YUSUFALI: Such is Allah, your real Cherisher and Sustainer: apart from truth, what (remains) but error? How then are ye turned away? PICKTHAL: Such then is Allah, your rightful Lord. After the Truth what is there saving error? How then are ye turned away! SHAKIR: This then is Allah, your true Lord; and what is there after the truth but error; how are you then turned back? YUSUFALI: Thus is the word of thy Lord proved true against those who rebel: Verily they will not believe. PICKTHAL: Thus is the Word of thy Lord justified concerning those who do wrong: that they believe not. SHAKIR: Thus does the word of your Lord prove true against those who transgress that they do not believe. YUSUFALI: Say: "Of your 'partners', can any originate creation and repeat it?" Say: "It is Allah Who originates creation and repeats it: then how are ye deluded away (from the truth)?" PICKTHAL: Say: Is there of your partners (whom ye ascribe unto Allah) one that produceth Creation and then reproduceth it? Say: Allah produceth Creation, then reproduceth it. How then, are ye misled! SHAKIR: Say: Is there any one among your associates who can bring into existence the creation in the first instance, then reproduce it? Say: Allah brings the creation into existence, then He reproduces it; how are you then turned away? YUSUFALI: Say: "Of your 'partners' is there any that can give any guidance towards truth?" Say: "It is Allah Who gives guidance towards truth, is then He Who gives guidance to truth more worthy to be followed, or he who finds not guidance (himself) unless he is guided? what then is the matter with you? How judge ye?" PICKTHAL: Say: Is there of your partners (whom ye ascribe unto Allah) one that leadeth to the Truth? Say: Allah leadeth to the Truth. Is He Who leadeth to the Truth more deserving that He should be followed, or he who findeth not the way unless he (himself) be guided. What aileth you? How judge ye? SHAKIR: Say: Is there any of your associates who guides to the truth? Say: Allah guides to the truth. Is He then Who guides to the truth more worthy to be followed, or he who himself does not go aright unless he is guided? What then is the matter with you; how do you judge? YUSUFALI: But most of them follow nothing but fancy: truly fancy can be of no avail against truth. Verily Allah is well aware of all that they do. PICKTHAL: Most of them follow not but conjecture. Assuredly conjecture can by no means take the place of truth. Lo! Allah is Aware of what they do. SHAKIR: And most of them do not follow (anything) but conjecture; surely conjecture will not avail aught against the truth; surely Allah is cognizant of what they do. YUSUFALI: This Qur'an is not such as can be produced by other than Allah; on the contrary it is a confirmation of (revelations) that went before it, and a fuller explanation of the Book - wherein there is no doubt - from the Lord of the worlds. PICKTHAL: And this Qur'an is not such as could ever be invented in despite of Allah; but it is a confirmation of that which was before it and an exposition of that which is decreed for mankind - Therein is no doubt - from the Lord of the Worlds. SHAKIR: And this Quran is not such as could be forged by those besides Allah, but it is a verification of that which is before it and a clear explanation of the book, there is no doubt in it, from the Lord of the worlds. YUSUFALI: Or do they say, "He forged it"? 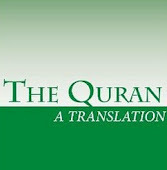 say: "Bring then a Sura like unto it, and call (to your aid) anyone you can besides Allah, if it be ye speak the truth!" PICKTHAL: Or say they: He hath invented it? Say: Then bring a surah like unto it, and call (for help) on all ye can besides Allah, if ye are truthful. SHAKIR: Or do they say: He has forged it? Say: Then bring a chapter like this and invite whom you can besides Allah, if you are truthful. YUSUFALI: Nay, they charge with falsehood that whose knowledge they cannot compass, even before the elucidation thereof hath reached them: thus did those before them make charges of falsehood: but see what was the end of those who did wrong! PICKTHAL: Nay, but they denied that, the knowledge whereof they could not compass, and whereof the interpretation (in events) hath not yet come unto them. Even so did those before them deny. Then see what was the consequence for the wrong-doers! SHAKIR: Nay, they reject that of which they have no comprehensive knowledge, and the final sequel of it has not yet come to them; even thus did those before them reject (the truth); see then what was the end of the unjust. YUSUFALI: Of them there are some who believe therein, and some who do not: and thy Lord knoweth best those who are out for mischief. PICKTHAL: And of them is he who believeth therein, and of them is he who believeth not therein, and thy Lord is Best Aware of the corrupters. SHAKIR: And of them is he who believes in it, and of them is he who does not believe in it, and your Lord best knows the mischief-makers. YUSUFALI: If they charge thee with falsehood, say: "My work to me, and yours to you! ye are free from responsibility for what I do, and I for what ye do!" PICKTHAL: And if they deny thee, say: Unto me my work, and unto you your work. Ye are innocent of what I do, and I am innocent of what ye do. SHAKIR: And if they call you a liar, say: My work is for me and your work for you; you are clear of what I do and I am clear of what you do. YUSUFALI: Among them are some who (pretend to) listen to thee: But canst thou make the deaf to hear,- even though they are without understanding? PICKTHAL: And of them are some who listen unto thee. But canst thou make the deaf to hear even though they apprehend not? SHAKIR: And there are those of them who hear you, but can you make the deaf to hear though they will not understand? YUSUFALI: And among them are some who look at thee: but canst thou guide the blind,- even though they will not see? PICKTHAL: And of them is he who looketh toward thee. But canst thou guide the blind even though they see not? SHAKIR: And there are those of them who look at you, but can you show the way to the blind though they will not see? YUSUFALI: Verily Allah will not deal unjustly with man in aught: It is man that wrongs his own soul. PICKTHAL: Lo! Allah wrongeth not mankind in aught; but mankind wrong themselves. SHAKIR: Surely Allah does not do any injustice to men, but men are unjust to themselves. YUSUFALI: One day He will gather them together: (It will be) as if they had tarried but an hour of a day: they will recognise each other: assuredly those will be lost who denied the meeting with Allah and refused to receive true guidance. PICKTHAL: And on the day when He shall gather them together, (when it will seem) as though they had tarried but an hour of the day, recognising one another, those will verily have perished who denied the meeting with Allah and were not guided. SHAKIR: And on the day when He will gather them as though they had not stayed but an hour of the day, they will know each other. They will perish indeed who called the meeting with Allah to be a lie, and they are not followers of the right direction. YUSUFALI: Whether We show thee (realised in thy life-time) some part of what We promise them,- or We take thy soul (to Our Mercy) (Before that),- in any case, to Us is their return: ultimately Allah is witness, to all that they do. PICKTHAL: Whether We let thee (O Muhammad) behold something of that which We promise them or (whether We) cause thee to die, still unto Us is their return, and Allah, moreover, is Witness over what they do. SHAKIR: And if We show you something of what We threaten them with, or cause you to die, yet to Us is their return, and Allah is the bearer of witness to what they do. YUSUFALI: To every people (was sent) a messenger: when their messenger comes (before them), the matter will be judged between them with justice, and they will not be wronged. PICKTHAL: And for every nation there is a messenger. And when their messenger cometh (on the Day of Judgment) it will be judged between them fairly, and they will not be wronged. SHAKIR: And every nation had a messenger; so when their messenger came, the matter was decided between them with justice and they shall not be dealt with unjustly. YUSUFALI: They say: "When will this promise come to pass,- if ye speak the truth?" PICKTHAL: And they say: When will this promise be fulfilled, if ye are truthful? SHAKIR: And they say: When will this threat come about, if you are truthful? YUSUFALI: Say: "I have no power over any harm or profit to myself except as Allah willeth. To every people is a term appointed: when their term is reached, not an hour can they cause delay, nor (an hour) can they advance (it in anticipation)." PICKTHAL: Say: I have no power to hurt or benefit myself, save that which Allah willeth. For every nation there is an appointed time. When their time cometh, then they cannot put it off an hour, nor hasten (it). SHAKIR: Say: I do not control for myself any harm, or any benefit except what Allah pleases; every nation has a term; when their term comes, they shall not then remain behind for an hour, nor can they go before (their time). YUSUFALI: Say: "Do ye see,- if His punishment should come to you by night or by day,- what portion of it would the sinners wish to hasten? PICKTHAL: Say: Have ye thought: When His doom cometh unto you as a raid by night, or in the (busy) day; what is there of it that the guilty ones desire to hasten? SHAKIR: Say: Tell me if His punishment overtakes you by night or by day! what then is there of it that the guilty would hasten on? PICKTHAL: Is it (only) then, when it hath befallen you, that ye will believe? What! (Believe) now, when (until now) ye have been hastening it on (through disbelief)? SHAKIR: And when it comes to pass, will you believe in it? What! now (you believe), and already you wished to have it hastened on. YUSUFALI: "At length will be said to the wrong-doers: 'Taste ye the enduring punishment! ye get but the recompense of what ye earned!'" PICKTHAL: Then will it be said unto those who dealt unjustly Taste the torment of eternity. Are ye requited aught save what ye used to earn? SHAKIR: Then it shall be said to those who were unjust: Taste abiding chastisement; you are not requited except for what you earned. YUSUFALI: They seek to be informed by thee: "Is that true?" Say: "Aye! by my Lord! it is the very truth! and ye cannot frustrate it!" PICKTHAL: And they ask thee to inform them (saying): Is it true? Say: Yea, by my Lord, verily it is true, and ye cannot escape. SHAKIR: And they ask you: Is that true? Say: Aye! by my Lord! it is most surely the truth, and you will not escape. YUSUFALI: Every soul that hath sinned, if it possessed all that is on earth, would fain give it in ransom: They would declare (their) repentance when they see the penalty: but the judgment between them will be with justice, and no wrong will be done unto them. PICKTHAL: And if each soul that doeth wrong had all that is in the earth it would seek to ransom itself therewith; and they will feel remorse within them, when they see the doom. But it hath been judged between them fairly and they are not wronged. SHAKIR: And if every soul that has done injustice had all that is in the earth, it would offer it for ransom, and they will manifest regret when they see the chastisement and the matter shall be decided between them with justice and they shall not be dealt with unjustly. YUSUFALI: Is it not (the case) that to Allah belongeth whatever is in the heavens and on earth? Is it not (the case) that Allah's promise is assuredly true? Yet most of them understand not. PICKTHAL: Lo! verily all that is in the heavens and the earth is Allah's. Lo! verily Allah's promise is true. But most of them know not. SHAKIR: Now surely Allah's is what is in the heavens and the earth; now surely Allah's promise is true, but most of them do not know. YUSUFALI: It is He Who giveth life and who taketh it, and to Him shall ye all be brought back. PICKTHAL: He quickeneth and giveth death, and unto Him ye will be returned. SHAKIR: He gives life and causes death, and to Him you shall be brought back. YUSUFALI: O mankind! there hath come to you a direction from your Lord and a healing for the (diseases) in your hearts,- and for those who believe, a guidance and a Mercy. PICKTHAL: O mankind! There hath come unto you an exhortation from your Lord, a balm for that which is in the breasts, a guidance and a mercy for believers. SHAKIR: O men! there has come to you indeed an admonition from your Lord and a healing for what is in the breasts and a guidance and a mercy for the believers. YUSUFALI: Say: "In the bounty of Allah. And in His Mercy,- in that let them rejoice": that is better than the (wealth) they hoard. PICKTHAL: Say: In the bounty of Allah and in His mercy: therein let them rejoice. It is better than what they hoard. SHAKIR: Say: In the grace of Allah and in His mercy-- in that they should rejoice; it is better than that which they gather. YUSUFALI: Say: "See ye what things Allah hath sent down to you for sustenance? Yet ye hold forbidden some things thereof and (some things) lawful." Say: "Hath Allah indeed permitted you, or do ye invent (things) to attribute to Allah?" PICKTHAL: Say: Have ye considered what provision Allah hath sent down for you, how ye have made of it lawful and unlawful? Hath Allah permitted you, or do ye invent a lie concerning Allah? SHAKIR: Say: Tell me what Allah has sent down for you of sustenance, then you make (a part) of it unlawful and (a part) lawful. Say: Has Allah commanded you, or do you forge a lie against Allah? YUSUFALI: And what think those who invent lies against Allah, of the Day of Judgment? Verily Allah is full of bounty to mankind, but most of them are ungrateful. PICKTHAL: And what think those who invent a lie concerning Allah (will be their plight) upon the Day of Resurrection? Lo! Allah truly is Bountiful toward mankind, but most of them give not thanks. SHAKIR: And what will be the thought of those who forge lies against Allah on the day of resurrection? Most surely Allah is the Lord of grace towards men, but most of them do not give thanks. YUSUFALI: In whatever business thou mayest be, and whatever portion thou mayest be reciting from the Qur'an,- and whatever deed ye (mankind) may be doing,- We are witnesses thereof when ye are deeply engrossed therein. Nor is hidden from thy Lord (so much as) the weight of an atom on the earth or in heaven. And not the least and not the greatest of these things but are recorded in a clear record. PICKTHAL: And thou (Muhammad) art not occupied with any business and thou recitest not a Lecture from this (Scripture), and ye (mankind) perform no act, but We are Witness of you when ye are engaged therein. And not an atom's weight in the earth or in the sky escapeth your Lord, nor what is less than that or greater than that, but it is (written) in a clear Book. SHAKIR: And you are not (engaged) in any affair, nor do you recite concerning it any portion of the Quran, nor do you do any work but We are witnesses over you when you enter into it, and there does not lie concealed from your Lord the weight of an atom in the earth or in the heaven, nor any thing less than that nor greater, but it is in a clear book. PICKTHAL: Lo! verily the friends of Allah are (those) on whom fear (cometh) not, nor do they grieve? SHAKIR: Now surely the friends of Allah-- they shall have no fear nor shall they grieve. PICKTHAL: Those who believe and keep their duty (to Allah). PICKTHAL: Theirs are good tidings in the life of the world and in the Hereafter - There is no changing the Words of Allah - that is the Supreme Triumph. SHAKIR: They shall have good news in this world's life and in the hereafter; there is no changing the words of Allah; that is the mighty achievement. YUSUFALI: Let not their speech grieve thee: for all power and honour belong to Allah: It is He Who heareth and knoweth (all things). PICKTHAL: And let not their speech grieve thee (O Muhammad). Lo! power belongeth wholly to Allah. He is the Hearer, the Knower. SHAKIR: And let not their speech grieve you; surely might is wholly Allah's; He is the Hearing, the Knowing. YUSUFALI: Behold! verily to Allah belong all creatures, in the heavens and on earth. What do they follow who worship as His "partners" other than Allah? They follow nothing but fancy, and they do nothing but lie. PICKTHAL: Lo! is it not unto Allah that belongeth whosoever is in the heavens and whosoever is in the earth? Those who follow aught instead of Allah follow not (His) partners. They follow only a conjecture, and they do but guess. SHAKIR: Now, surely, whatever is in the heavens and whatever is in the earth is Allah's; and they do not (really) follow any associates, who call on others besides Allah; they do not follow (anything) but conjectures, and they only lie. YUSUFALI: He it is That hath made you the night that ye may rest therein, and the day to make things visible (to you). Verily in this are signs for those who listen (to His Message). PICKTHAL: He it is Who hath appointed for you the night that ye should rest therein and the day giving sight. Lo! herein verily are portents for a folk that heed. SHAKIR: He it is Who made for you the night that you might rest in it, and the day giving light; most surely there are signs in it for a people who would hear. YUSUFALI: They say: "Allah hath begotten a son!" - Glory be to Him! He is self-sufficient! His are all things in the heavens and on earth! No warrant have ye for this! say ye about Allah what ye know not? PICKTHAL: They say: Allah hath taken (unto Him) a son - Glorified be He! He hath no needs! His is all that is in the heavens and all that is in the earth. Ye have no warrant for this. Tell ye concerning Allah that which ye know not? SHAKIR: They say: Allah has taken a son (to Himself)! Glory be to Him: He is the Self-sufficient: His is what is in the heavens and what is in the earth; you have no authority for this; do you say against Allah what you do not know? YUSUFALI: Say: "Those who invent a lie against Allah will never prosper." PICKTHAL: Say: Verily those who invent a lie concerning Allah will not succeed. SHAKIR: Say: Those who forge a lie against Allah shall not be successful. YUSUFALI: A little enjoyment in this world!- and then, to Us will be their return, then shall We make them taste the severest penalty for their blasphemies. PICKTHAL: This world's portion (will be theirs), then unto Us is their return. Then We make them taste a dreadful doom because they used to disbelieve. SHAKIR: (It is only) a provision in this world, then to Us shall be their return; then We shall make them taste severe punishment because they disbelieved. YUSUFALI: Relate to them the story of Noah. Behold! he said to his people: "O my people, if it be hard on your (mind) that I should stay (with you) and commemorate the signs of Allah,- yet I put my trust in Allah. Get ye then an agreement about your plan and among your partners, so your plan be on to you dark and dubious. Then pass your sentence on me, and give me no respite. PICKTHAL: Recite unto them the story of Noah, when he told his people: O my people! If my sojourn (here) and my reminding you by Allah's revelations are an offence unto you, in Allah have I put my trust, so decide upon your course of action you and your partners. Let not your course of action be in doubt for you. Then have at me, give me no respite. YUSUFALI: "But if ye turn back, (consider): no reward have I asked of you: my reward is only due from Allah, and I have been commanded to be of those who submit to Allah's will (in Islam)." PICKTHAL: But if ye are averse I have asked of you no wage. My wage is the concern of Allah only, and I am commanded to be of those who surrender (unto Him). SHAKIR: But if you turn back, I did not ask for any reward from you; my reward is only with Allah, and I am commanded that I should be of those who submit. YUSUFALI: They rejected Him, but We delivered him, and those with him, in the Ark, and We made them inherit (the earth), while We overwhelmed in the flood those who rejected Our Signs. Then see what was the end of those who were warned (but heeded not)! PICKTHAL: But they denied him, so We saved him and those with him in the ship, and made them viceroys (in the earth), while We drowned those who denied Our revelations. See then the nature of the consequence for those who had been warned. SHAKIR: But they rejected him, so We delivered him and those with him in the ark, and We made them rulers and drowned those who rejected Our communications; see then what was the end of the (people) warned. YUSUFALI: Then after him We sent (many) messengers to their peoples: they brought them Clear Signs, but they would not believe what they had already rejected beforehand. Thus do We seal the hearts of the transgressors. PICKTHAL: Then, after him, We sent messengers unto their folk, and they brought them clear proofs. But they were not ready to believe in that which they before denied. Thus print We on the hearts of the transgressors. SHAKIR: Then did We raise up after him messengers to their people, so they came to them with clear arguments, but they would not believe in what they had rejected before; thus it is that We set seals upon the hearts of those who exceed the limits. YUSUFALI: Then after them sent We Moses and Aaron to Pharaoh and his chiefs with Our Signs. But they were arrogant: they were a people in sin. PICKTHAL: Then, after them, We sent Moses and Aaron unto Pharaoh and his chiefs with Our revelations, but they were arrogant and were a guilty folk. SHAKIR: Then did We send up after them Musa and Haroun to Firon and his chiefs with Our signs, but they showed pride and they were a guilty people. YUSUFALI: When the Truth did come to them from Us, they said: "This is indeed evident sorcery!" PICKTHAL: And when the Truth from Our presence came unto them, they said: Lo! this is mere magic. SHAKIR: So when the truth came to them from Us they said: This is most surely clear enchantment! YUSUFALI: Said Moses: "Say ye (this) about the truth when it hath (actually) reached you? Is sorcery (like) this? But sorcerers will not prosper." PICKTHAL: Moses said: Speak ye (so) of the Truth when it hath come unto you? Is this magic? Now magicians thrive not. SHAKIR: Musa said: Do you say (this) of the truth when it has come to you? Is it magic? And the magicians are not successful. YUSUFALI: They said: "Hast thou come to us to turn us away from the ways we found our fathers following,- in order that thou and thy brother may have greatness in the land? But not we shall believe in you!" PICKTHAL: They said: Hast thou come unto us to pervert us from that (faith) in which we found our fathers, and that you two may own the place of greatness in the land? We will not believe you two. SHAKIR: They said: Have you come to us to turn us away from what we found our fathers upon, and (that) greatness in the land should be for you two? And we are not going to believe in you. YUSUFALI: Said Pharaoh: "Bring me every sorcerer well versed." PICKTHAL: And Pharaoh said: Bring every cunning wizard unto me. SHAKIR: And Firon said: Bring to me every skillful magician. YUSUFALI: When the sorcerers came, Moses said to them: "Throw ye what ye (wish) to throw!" PICKTHAL: And when the wizards came, Moses said unto them: Cast your cast! SHAKIR: And when the magicians came, Musa said to them: Cast down what you have to cast. YUSUFALI: When they had had their throw, Moses said: "What ye have brought is sorcery: Allah will surely make it of no effect: for Allah prospereth not the work of those who make mischief. PICKTHAL: And when they had cast, Moses said: That which ye have brought is magic. Lo! Allah will make it vain. Lo! Allah upholdeth not the work of mischief-makers. SHAKIR: So when they cast down, Musa said to them: What you have brought is deception; surely Allah will make it naught; surely Allah does not make the work of mischief-makers to thrive. YUSUFALI: "And Allah by His words doth prove and establish His truth, however much the sinners may hate it!" PICKTHAL: And Allah will vindicate the Truth by His words, however much the guilty be averse. SHAKIR: And Allah will show the truth to be the truth by His words, though the guilty may be averse (to it). YUSUFALI: But none believed in Moses except some children of his people, because of the fear of Pharaoh and his chiefs, lest they should persecute them; and certainly Pharaoh was mighty on the earth and one who transgressed all bounds. PICKTHAL: But none trusted Moses, save some scions of his people, (and they were) in fear of Pharaoh and their chiefs, that he would persecute them. Lo! Pharaoh was verily a tyrant in the land, and lo! he verily was of the wanton. SHAKIR: But none believed in Musa except the offspring of his people, on account of the fear of Firon and their chiefs, lest he should persecute them; and most surely Firon was lofty in the land; and most surely he was of the extravagant. YUSUFALI: Moses said: "O my people! If ye do (really) believe in Allah, then in Him put your trust if ye submit (your will to His)." PICKTHAL: And Moses said: O my people! If ye have believed in Allah then put trust in Him, if ye have indeed surrendered (unto Him)! SHAKIR: And Musa said: O my people! if you believe in Allah, then rely on Him (alone) if you submit (to Allah). YUSUFALI: "And deliver us by Thy Mercy from those who reject (Thee)." PICKTHAL: And, of Thy mercy, save us from the folk that disbelieve. SHAKIR: And do Thou deliver us by Thy mercy from the unbelieving people. YUSUFALI: We inspired Moses and his brother with this Message: "Provide dwellings for your people in Egypt, make your dwellings into places of worship, and establish regular prayers: and give glad tidings to those who believe!" PICKTHAL: And We inspired Moses and his brother, (saying): Appoint houses for your people in Egypt and make your houses oratories, and establish worship. And give good news to the believers. SHAKIR: And We revealed to Musa and his brother, saying: Take for your people houses to abide in Egypt and make your houses places of worship and keep up prayer and give good news to the believers. YUSUFALI: Moses prayed: "Our Lord! Thou hast indeed bestowed on Pharaoh and his chiefs splendour and wealth in the life of the present, and so, Our Lord, they mislead (men) from Thy Path. Deface, our Lord, the features of their wealth, and send hardness to their hearts, so they will not believe until they see the grievous penalty." PICKTHAL: And Moses said: Our Lord! Lo! Thou hast given Pharaoh and his chiefs splendour and riches in the life of the world, Our Lord! that they may lead men astray from Thy way. Our Lord! Destroy their riches and harden their hearts so that they believe not till they see the painful doom. SHAKIR: And Musa said: Our Lord! surely Thou hast given to Firon and his chiefs finery and riches in this world's life, to this end, our Lord, that they lead (people) astray from Thy way: Our Lord! destroy their riches and harden their hearts so that they believe not until they see the painful punishment. YUSUFALI: Allah said: "Accepted is your prayer (O Moses and Aaron)! So stand ye straight, and follow not the path of those who know not." PICKTHAL: He said: Your prayer is heard. Do ye twain keep to the straight path, and follow not the road of those who have no knowledge. SHAKIR: He said: The prayer of you both has indeed been accepted, therefore continue in the right way and do not follow the path of those who do not know. YUSUFALI: We took the Children of Israel across the sea: Pharaoh and his hosts followed them in insolence and spite. At length, when overwhelmed with the flood, he said: "I believe that there is no god except Him Whom the Children of Israel believe in: I am of those who submit (to Allah in Islam)." PICKTHAL: And We brought the Children of Israel across the sea, and Pharaoh with his hosts pursued them in rebellion and transgression, till, when the (fate of) drowning overtook him, he exclaimed: I believe that there is no Allah save Him in Whom the Children of Israel believe, and I am of those who surrender (unto Him). SHAKIR: And We made the children of Israel to pass through the sea, then Firon and his hosts followed them for oppression and tyranny; until when drowning overtook him, he said: I believe that there is no god but He in Whom the children of Israel believe and I am of those who submit. YUSUFALI: (It was said to him): "Ah now!- But a little while before, wast thou in rebellion!- and thou didst mischief (and violence)! PICKTHAL: What! Now! When hitherto thou hast rebelled and been of the wrong-doers? SHAKIR: What! now! and indeed you disobeyed before and you were of the mischief-makers. YUSUFALI: "This day shall We save thee in the body, that thou mayest be a sign to those who come after thee! but verily, many among mankind are heedless of Our Signs!" PICKTHAL: But this day We save thee in thy body that thou mayst be a portent for those after thee. Lo! most of mankind are heedless of Our portents. SHAKIR: But We will this day deliver you with your body that you may be a sign to those after you, and most surely the majority of the people are heedless to Our communications. YUSUFALI: We settled the Children of Israel in a beautiful dwelling-place, and provided for them sustenance of the best: it was after knowledge had been granted to them, that they fell into schisms. Verily Allah will judge between them as to the schisms amongst them, on the Day of Judgment. PICKTHAL: And We verily did allot unto the Children of Israel a fixed abode, and did provide them with good things; and they differed not until the knowledge came unto them. Lo! thy Lord will judge between them on the Day of Resurrection concerning that wherein they used to differ. YUSUFALI: If thou wert in doubt as to what We have revealed unto thee, then ask those who have been reading the Book from before thee: the Truth hath indeed come to thee from thy Lord: so be in no wise of those in doubt. PICKTHAL: And if thou (Muhammad) art in doubt concerning that which We reveal unto thee, then question those who read the Scripture (that was) before thee. Verily the Truth from thy Lord hath come unto thee. So be not thou of the waverers. SHAKIR: But if you are in doubt as to what We have revealed to you, ask those who read the Book before you; certainly the truth has come to you from your Lord, therefore you should not be of the disputers. YUSUFALI: Nor be of those who reject the signs of Allah, or thou shalt be of those who perish. PICKTHAL: And be not thou of those who deny the revelations of Allah, for then wert thou of the losers. SHAKIR: And you should not be of those who reject the communications of Allah, (for) then you should be one of the losers. YUSUFALI: Even if every Sign was brought unto them,- until they see (for themselves) the penalty grievous. PICKTHAL: Though every token come unto them, till they see the painful doom. SHAKIR: Though every sign should come to them, until they witness the painful chastisement. YUSUFALI: Why was there not a single township (among those We warned), which believed,- so its faith should have profited it,- except the people of Jonah? When they believed, We removed from them the penalty of ignominy in the life of the present, and permitted them to enjoy (their life) for a while. PICKTHAL: If only there had been a community (of all those that were destroyed of old) that believed and profited by its belief as did the folk of Jonah! When they believed We drew off from them the torment of disgrace in the life of the world and gave them comfort for a while. SHAKIR: And wherefore was there not a town which should believe so that their belief should have profited them but the people of Yunus? When they believed, We removed from them the chastisement of disgrace in this world's life and We gave them provision till a time. YUSUFALI: If it had been thy Lord's will, they would all have believed,- all who are on earth! wilt thou then compel mankind, against their will, to believe! PICKTHAL: And if thy Lord willed, all who are in the earth would have believed together. Wouldst thou (Muhammad) compel men until they are believers? SHAKIR: And if your Lord had pleased, surely all those who are in the earth would have believed, all of them; will you then force men till they become believers? YUSUFALI: No soul can believe, except by the will of Allah, and He will place doubt (or obscurity) on those who will not understand. PICKTHAL: It is not for any soul to believe save by the permission of Allah. He hath set uncleanness upon those who have no sense. SHAKIR: And it is not for a soul to believe except by Allah's permission; and He casts uncleanness on those who will not understand. YUSUFALI: Say: "Behold all that is in the heavens and on earth"; but neither Signs nor Warners profit those who believe not. PICKTHAL: Say: Behold what is in the heavens and the earth! But revelations and warnings avail not folk who will not believe. SHAKIR: Say: Consider what is it that is in the heavens and the earth; and signs and warners do not avail a people who would not believe. YUSUFALI: Do they then expect (any thing) but (what happened in) the days of the men who passed away before them? Say: "Wait ye then: for I, too, will wait with you." PICKTHAL: What expect they save the like of the days of those who passed away before them? Say: Expect then! I am with you among the expectant. SHAKIR: What do they wait for then but the like of the days of those who passed away before them? Say: Wait then; surely I too am with you of those who wait. YUSUFALI: In the end We deliver Our messengers and those who believe: Thus is it fitting on Our part that We should deliver those who believe! PICKTHAL: Then shall We save Our messengers and the believers, in like manner (as of old). It is incumbent upon Us to save believers. SHAKIR: Then We deliver Our messengers and those who believe-- even so (now), it is binding on Us (that) We deliver the believers. PICKTHAL: Say (O Muhammad): O mankind! If ye are in doubt of my religion, then (know that) I worship not those whom ye worship instead of Allah, but I worship Allah Who causeth you to die, and I have been commanded to be of the believers. SHAKIR: Say: O people! if you are in doubt as to my religion, then (know that) I do not serve those whom you serve besides Allah but I do serve Allah, Who will cause you to die, and I am commanded that I should be of the believers. PICKTHAL: And, (O Muhammad) set thy purpose resolutely for religion, as a man by nature upright, and be not of those who ascribe partners (to Allah). SHAKIR: And that you should keep your course towards the religion uprightly; and you should not be of the polytheists. YUSUFALI: "'Nor call on any, other than Allah;- Such will neither profit thee nor hurt thee: if thou dost, behold! thou shalt certainly be of those who do wrong.'" PICKTHAL: And cry not, beside Allah, unto that which cannot profit thee nor hurt thee, for if thou didst so then wert thou of the wrong-doers. SHAKIR: And do not call besides Allah on that which can neither benefit you nor harm you, for if you do then surely you will in that case be of the unjust. YUSUFALI: If Allah do touch thee with hurt, there is none can remove it but He: if He do design some benefit for thee, there is none can keep back His favour: He causeth it to reach whomsoever of His servants He pleaseth. And He is the Oft-Forgiving, Most Merciful. PICKTHAL: If Allah afflicteth thee with some hurt, there is none who can remove it save Him; and if He desireth good for thee, there is none who can repel His bounty. He striketh with it whom He will of his bondmen. He is the Forgiving, the Merciful. SHAKIR: And if Allah should afflict you with harm, then there is none to remove it but He; and if He intends good to you there is none to repel His grace; He brings it to whom He pleases of His servants; and He is the Forgiving, the Merciful. YUSUFALI: Say: "O ye men! Now Truth hath reached you from your Lord! those who receive guidance, do so for the good of their own souls; those who stray, do so to their own loss: and I am not (set) over you to arrange your affairs." PICKTHAL: Say: O mankind! Now hath the Truth from your Lord come unto you. So whosoever is guided, is guided only for (the good of) his soul, and whosoever erreth erreth only against it. And I am not a warder over you. SHAKIR: Say: O people! indeed there has come to you the truth from your Lord, therefore whoever goes aright, he goes aright only for the good of his own soul, and whoever goes astray, he goes astray only to the detriment of it, and I am not a custodian over you. YUSUFALI: Follow thou the inspiration sent unto thee, and be patient and constant, till Allah do decide: for He is the best to decide. PICKTHAL: And (O Muhammad) follow that which is inspired in thee, and forbear until Allah give judgment. And He is the Best of Judges. SHAKIR: And follow what is revealed to you and be patient till Allah should give judgment, and He is the best of the judges.